JYJ’s Kim Jaejoong was previously reported to be looking over a role as a lawyer in an upcoming drama but it looks like he’s looking over a variety of options for his first drama since completing his military service. KBS2’s “Man Hole” is a comedy drama about a man who goes back in time to stop a marriage from happening in the present. 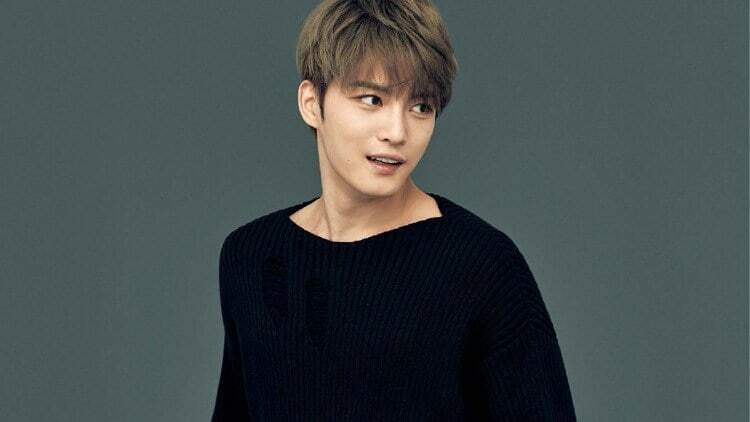 The main character, which is the role Kim Jaejoong has been offered, is a man named Bong Pil. Bong Pil is a character who has been studying for the civil servant exam for three years and is known as his neighborhood’s token unemployed person. He’s an immature character who doesn’t feel the need to grow up and depends heavily on his father, who is a postmaster. Jaejoong, please, take this drama and forget about that mini-drama. Please, please, please! The plot of this drama seems interesting and i really want to see him in a drama that has at least 16 episodes. I think this is the drama Jaejoong was talking about, the one with comical plot, with air time and tv network already, GO FOR IT JJ! And i think it’s about time..
We your fans already knew that..
the real world is a hard drama …enough… i want him in this light role… excited..
I’d like to see you in that genre. It looks like Jaejoong will be playing an antithesis of himself. an unemployed man named Bong-pil, immature character who doesn’t feel the need to grow up and depends heavily on his father. I’m so excited for the other 4 guys in their group. Hi @kris..i am looking forward with this collaboration..same as with those who will be with JJ in this rom-com drama…. She never tried comedy! Her roles were always cold & she is been criticized by k-netizens daily basis till her marriage contract drama! She is criticized for her pronunciation too! & she is tall if she wears heals she’ll look as tall as JJ which won’t make it cute or romantic to watch! For me at least! But if she end up picking this drama I’ll watch it all the way for JaeJoong! Who are those K-Netizens? producers must not be giving a cent to them since she’s offered 2 dramas in KBS. Well, I’ll wait and see, wishing “All the Best” for JJ’s drama. That’s it all the best for JJ’s drama. The only thing I know of IU is that when they stood on the stage with JJ next to each other in Blue House at the UNESCO/Arirang concert they never exchanged a word and JJ was talking kinda across her to other people but she just stood there. Though it looks like she is well known as a singer. I think what I mean to say is I don’t know how they will work out chemistry from the way I saw them then. Still who can resist our JJ’s charm. She might melt. Thank you very much for clarifying and explaining to me. Frankly, besides JJ & YC’s films/dramas I haven’t watched much else except some sageuk dramas. Oh JJ would have looked so protective and tender and caring with a little lady next to him. Can’t imagine how he would act protective around someone of same height with him.And with those 12 inch heels, at least when going to the past she won’t have the heels. As if I would see anything of her. My eyes would be all glued on JJ. @kris …. I love watching romantic comedy so most of my kdrama that i’ve seen has that genre, You’re Beautiful is my second fave kdrama that i’ve watched (Coffee Prince is the first) and this is the reason why i become a follower of Korean drama,..also keeps updating the actors and actress that comes from You’re Beautiful,.. UEE is good when playing against the protagonist but she disappoints me when playing the lead..it drags me down, as what @Nora Kim says her roles is always cold (i could just hit my head on the door..of all coincidences, she is the one offered the lead 🙂 ) i don’t like the inconsistency of her acting..considering that all actors that came from You’re Beautiful has been doing great in acting. She’s not confirmed yet but if ever she’ll be the one and you and #Nora Kim would be right, no problem with me😀, I’ve watched a lot of dramas which I don’t like the leading ladies and even find them annoying, few examples: Bridal Mask and Inspiring Generation with the same actress, K2 – Yoona really annoys me but JiChangWook and other casts are so good so I just ignore her, same with his present drama Suspicious Partner, ParkHaeJin Man to Man, I enjoy the drama less the leading lady. I think most of the dramas I’ve watched, the lead actors are the main attraction, so for Manhole, I won’t let any character spoil my viewing of Kim Jaejoong 😍🤗. Oh @kris..what you said is true, about this annoying leading ladies…usually i dropped the drama if it doesn’t convince me on first episode..i don’t mind if the actor is young,old or not good looking as long as it has something that keep me interested to stay…acting wise and the story is executed so well even if it was a remake or simple plot. I feel you about K2..i skip some of the scenes, i only finished the drama because of Song Yoon -ah.badass acting. Lol..yup i did. story is well executed, i tolerate the minor imperfections..
Oh My God YESSSSS Jaejoong confirmed !!!!!!!!!!! the connection between what JJ said before and after MS makes it almost feel, like 2 years military service didn’t happen last day before enlistment he said when I’ll come back I will do a romcom for you the next time AND HE DID IT !! super excited I can’t wait to see Jaejoong in this role.